Digital Home Thoughts: A Dell Mini5 Demo. Quick and Casual. A Dell Mini5 Demo. Quick and Casual. 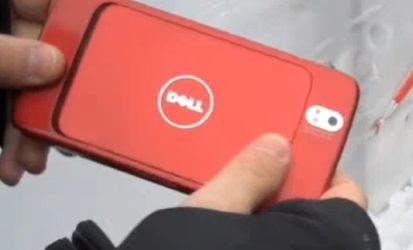 "Hot on the heels of us thinking maybe the Dell Streak / Mini 5 was possibly due for a name change to the "M01M," a roving heckler from TechCrunch managed to catch the man himself, Michael Dell, on the street and get a quick demonstration of the thing -- which he with no uncertain terms referred to as the "Mini 5."" Have you heard? Tablets are in! And Dell is not one to be left out in the cold, business wise at least. The quick demo of the Mini 5 does not give much information, but it looks like a nice portable device. Much more portable, and thus, more usable than larger tablets. Mini 5 information has been popping up all over the net including a price of $1,095 if a "copy" price is any gauge. I do find it interesting that the small tablets coming out are using the whole "tablet" name, instead of the age old PDA which really are what the smaller tablets are. Sure, they have 3G for persistent connectivity, but it is only recently that prices for wireless connectivity have gone down. The Mini 5 definitely looks more usable than their old Axim line though.